A small production wine from the cool climate of Margaret River. Fresh and crisp with round juicy white fruit and white spices. Great balance and the flavors linger long on the palate. The fruit is hand-picked and aged in stainless steel for nine months. It can be easy to place wines from Australia into the "critter category," meaning that the labels have cute animals on them, but lackluster juice inside. Rest assured Happs Sémillon does not fit that bill. At five years young this expression tastes as lively as if it was bottled from the most recent harvest. Sémillon is known to age well and (dare I say it?) this screw capped version can only continue to improve for at least five to seven years. The wine has nice weight and rounded texture, but the lemony acidity still offers excellent refreshment. 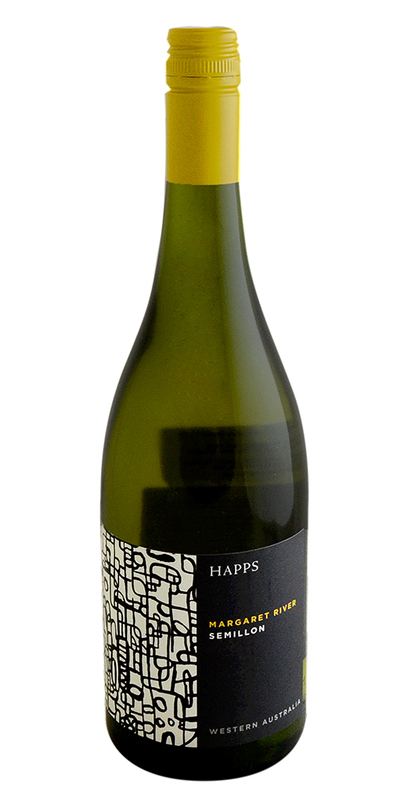 Happs considers itself a winery for the people, with the aim to offer wines to suit every palate. This Sémillon certainly agrees with mine (and hopefully yours too)!! Notify me when Happs, Sémillon - 2014 is back in stock.